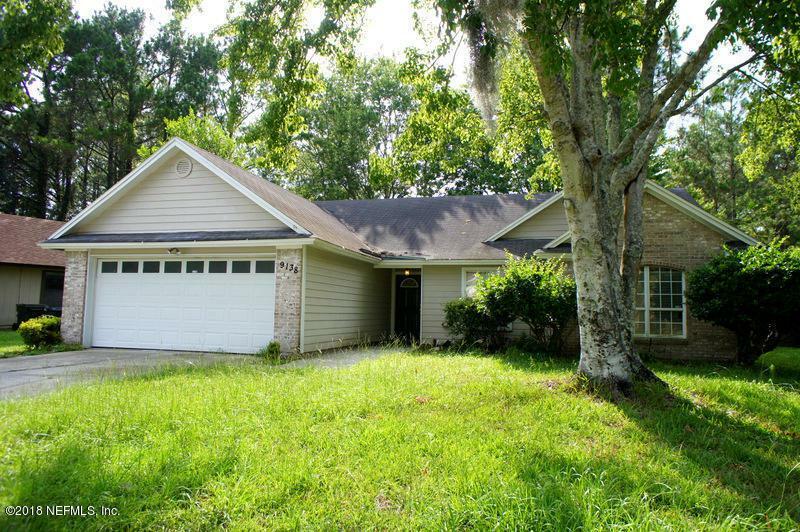 bedroom 2 bath home in the Trappers Creek section of Chimney Lakes An open floor plan with tall vaulted ceilings greets you as you enter the front door. The living room is spacious and features a wood-burning fireplace and walk-out to the back yard and open patio. Adjacent you will find a formal dining area that includes a large breakfast bar looking into the kitchen with lots of cabinet space and counter area. A side by side refrigerator with a smooth-top stove and over-the-range microwave round out this open and bright kitchen. Master bedroom is large with bay window and sitting ledge,bath that features a double sink vanity, step-in shower and separate lavatory area walk-in closet will provide plenty of space for any size wardrobe. Other two bedrooms are spacious as well. Listing courtesy of Home Encounter Llc.